Anihan Technical School graduate, Erica Bao is Chef de Partie of The Pig Pen Restaurant in Nuvali, Sta. Rosa. She did her On-the-Job-Training in La Lola Churreria, a churros store that started to operate in 2015. 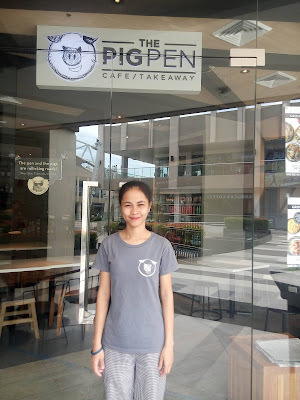 She, together with a few of her batchmates, became pioneer employees in their Rockwell branch in Makati. She worked there for a year and from there, moved to a restaurant in Sta. Rosa, The Pig Pen. Since she is from Sta. Rosa, this move allowed her to minimize expenses while working so she can give more financial help to her family. She is also happy that she gets to stay in their family home, giving her more time to spend with her parents. Her father is a welder. Her mother takes care of the house. She is the youngest among seven children. She has five brothers and one sister. Most of her brothers are construction workers while one is a tricycle driver. Her sister works in a factory. 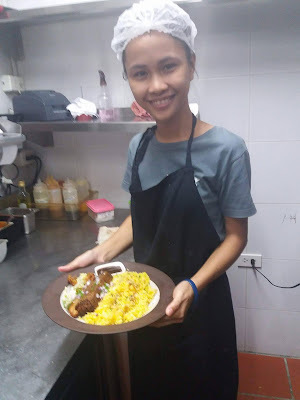 Erica studied in Anihan because she has always been interested in food service, especially cooking. So she took advantage of the scholarship that Anihan offers.